But Aren’t You Innocent Until Proven Guilty? News broke in 2016 about police booking photos, also known as mugshots. The gist of the relevant judicial ruling was that Montana law enforcement should make booking photos available to the news media, so that we in the press can use them to get your attention, so we can make more money—so we can buy second homes. And, that they can now be more readily accessed by the news media is being trumpeted as a truly wonderful thing (see next page). 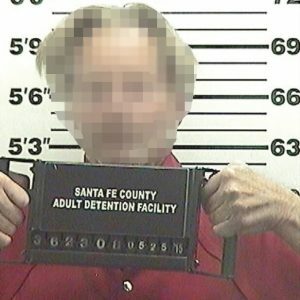 There’s another side, though, to this public’s right to know claim, especially if you’re the guy in the pixelated mugshot above, an Oscar-nominated Pulitzer Prize-winner who sometimes turns up in Livingston, Montana, and, who, subsequent to having this photo taken, spent the night in a New Mexico jail. Or if you’re anybody else who allegedly stumbled onto the wrong side of the law looking all disheveled and ill-tempered, or just guilty, and mugshots always make you look guilty. It’s hard to imagine, more over, a guy who seems as worthy as the fellow in this photo, yet we have to say that he had a few tequilas that night (he got all pixelated), then got in his truck and tried to drive with the parking brake on. He didn’t leave the parking lot, but someone called the cops, he refused a breath test, and, well, the arrest is history, along with all the shame that comes with published mugshots that remain online in perpetuity. We have purposely not revealed his identity, not sure why exactly, except that he seems like the kind of guy you might want to drink tequila with, and talk David Mamet, or Shakespeare, or Paradise Lost next time he’s in town, rather than the seemingly seedy kind of guy you see in a mugshot. And who looks good in prison orange anyway, except maybe Hillary Clinton. So, you gotta admit, as far as photos go (quotes too), context is everything, and the context telegraphed by having your mugshot plastered all over the internet, TMZ, CNN, and USA Today because you are famous and got into a scrape is pretty lousy. What’s equally lousy is the personal or editorial impulse to do the plastering. The noteworthy guy in this photo, for example, perhaps does not deserve to be so denigrated. More importantly, when people are booked and arrested, they are not convicted, not legally guilty, and may not be guilty at all. So why should an innocent person be made to look guilty (and all forlorn and unkempt) for all the world to see, including friends, family, peers, and that cute girl down the street you had your eye on? That’s an injustice, humiliating, and otherwise avoidable if someone weren’t in such a froth to acquire these booking photos and publish them as hard copy or via electronic media. We recognize, of course, that newsworthiness can be an over riding factor. Hillary Clinton’s police booking photo, for example, will be huge news (though one wonders why obvious violations of the Espionage Act and taking bribes through the Clinton Foundation has not landed her jail. Maybe, just maybe, the fix was in.). So let’s make a distinction between certain high profile officials like HRC, El Chapo and Rod Blagojevich, and the poor schlub, perhaps you or me, who inadvertently crosses the line—maybe the line he’s supposed to walk for that unexpected sobriety test. Yet you will hear media people in the most self-serving manner invoke the public’s right to know in this regard, as they try to justify, constitutionally, what they really want in furtherance of themselves, their careers, and that condo in the Dominican Republic. There is no public right to know except regarding taxpayer funded public records and services (that can technically include mugshots). If there were, you would know everything about your neighbors, and there would be no such thing as privacy (for which there is no constitutional right either until invented as something “implied” by the constitution, the application of which, if valid, would quash electronic activities of the modern world and the daily habits of Google, the IRS, FBI, NSA, TMZ, the BBC, and BB King. The question is not then one of constitutionality, or privacy, or the public’s right to know. It’s the impropriety of publishing a photo that implies guilt under the presumption of innocence — the trashing of someone’s reputation. And police departments have therefore been reluctant to release mugshots except to further criminal investigations.